The aim: a single economic area for payments across the European Union. The rationale: so that it is as easy, quick and cheap for an EU citizen in any member state to make a payment to an individual or business in another member state as it is to make a similar payment within the borders of his own country. The difficulties: differences in member-state law and regulation; incompatibility of national infrastructures and technology (much bank card operation and security has been purely national up until now); bank and other charges; dispute resolution and the transition from old payment methods (cash, cheques) to new electronic methods. July 2002: Cross-border Payments Regulation: charges for withdrawing cash from cash machines and making card payments in euros must be the same for cross-border as domestic transactions. There have since been concerns that banks have simply raised their tariffs for domestic transactions. There is also a growth in the number of institutions imposing charges for using cash machines. July 2003: Cross-border transfer in euros: as above, charges must be the same for cross-border and domestic transactions (but only those less than €12,500). Technology used is the IBAN (international bank account number) and BIC (bank identifier code), which must be shown on bank statements. Dec 2003: Consultation on Legal Framework for payments in the internal market: this document puts forward suggestions for completing SEPA for all forms of transaction. It looks at cross-border use of internet payments (e-payments) and payments made via mobile phones (m-payments) and cross-border direct debit. Contributions on the consultation were published in March 2004. October 2004: fraud prevention action plan: contains measures to combat fraud in non-cash payments such as single EU phone number to report lost/stolen cards; greater cooperation between enforcement authorities; clarification on data protection laws relating to fraud prevention; EU fraud prevention expert group (FPEG). December 2005: Proposal for directive on New Legal Framework for payment services (see Issues below). February 2006: SEPA Incentives Paper (see Infrastructure below). consumer protection rules are included so that if payment is not made, or is defective, the payment provider is under a strict liability. (EPC) in 2002. For progress of the EPC, see the European Payments Council website. It should be noted that while the Commission's legal framework will apply to all the EU 25, the EPC's strategy concentrates on Euro payments - payments involving currency exchange are not at present included. • reducing costs to the banking sector –e.g. by replacing expensive payment instruments (cash and cheques) by electronic payments. A consultation on the paper was concluded on the 31 March 2006. In order to increase the participation of consumers in the development of financial services regulation, the Commission inaugurated the Financial Services Consumer Group in June 2006. The group consists of representatives from consumer organisations from EU Member States as well as consumer organisations active at EU level and complements the existing experts group, FIN-USE. In addition, the Commission has launched a newsletter for consumers: Fin-focus. Increasingly, payments are being made by an ever-widening variety of electronic means - card, bank transfer, internet and mobile phone. While foreseeably, cash will remain with us, the use of cheques is fast declining. This development is embraced by the SEPA policy and by the banks for whom cash is the most costly payments method. The Commission's new legal framework therefore, applies to electronic payments only. Ways of paying are increasing. Many consumers already have internet banking and pay via credit card over the telephone or the internet. The next development is payment by mobile phone. This can either be done by entering a credit card number on the phone keyboard; adding items for payment to a mobile-phone bill (eg key into the phone a number displayed on a vending machine/ car-park ticket machine) or using a pre-payment system. Another possibility is entering a contract with a payment service provider to make payments through a mobile – thus using the mobile phone as a virtual credit card. On 14 July 2005, the Commission launched a review of the E-Money directive to analyse whether it remained appropriate in the light of technological changes. A report on this review containing recommendations for revision of the Directive was sent to the Council in July 2006. The Commission also carried out a consultation on the rules relating to payments via mobile phone. The European Banking Federation (FBE) welcomed the NLF proposal but underlined the importance of striking the right balance between consumer protection requirements and the costs to the industry. The European Savings Banks Group (ESBG) expressed clear support for the legal framework proposals but criticised the notion of strict liability as imposing unnecessary costs. It also saw the imposition of obligations on providers of electronic payment services as encouraging the use of cash, when this payment method, by far the most costly, should be discouraged. EuroCommerce is concerned that progress towards the single payments area is not progressing quickly enough. It commended the transparency and competition which would be created by the NLF directive but regretted that the issue of inter-bank agreements and interchange fees had not been tackled. European consumers organisation BEUC also criticised the delay in implementing the single payments area. In the EU, it states, "there is a dire need to improve on payment efficiency, security and protection." However, BEUC Director Jim Murray called the NLF proposal, "a bold move in the right direction." The European Parliamentary Financial Services Forum warns that the huge investment required from the banking sector to make SEPA work will only be forthcoming if there is a foreseeable return on that investment. To ensure this, SEPA needs the active support of businesses, large and small, and consumers throughout Europe. In an open letter addressed to Ms. Tumpel-Gugerell, member of the executive board of the European Central Bank (ECB) and Internal Market Commissioner Charlie McCreevy, the European Payments Council (EPC) warned that "the delay to the original schedule in the adoption of the Payments Services Directive remains a source of risk, cost and uncertainty to the SEPA programme." The EPC further wrote: "We also remain concerned by the evident lack of commitment and support from public administrations as adopters of the new SEPA instruments." A study by VicaLink showed that SEPA reach is still aproblem for banks. Martin Wilson, chief marketing officer at VocaLink said: "With SEPA compliance just around the corner, the thought that many European banks do not have a solution for reach is a cause for concern." 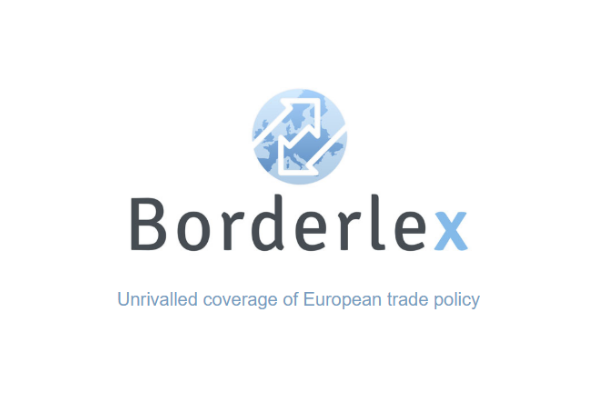 Cross-border transfer rules to apply to amounts up to €50 000 since 1 January 2006. The New Legal Framework for payment services was agreed by EU finance ministers on 27 March 2007. The Payment Services Directive (PSD) was agreed on 15 October 2007. The directive is expected to come into force by November 2009 (see our Links Dossier). To learn more about the differences between SEPA and PSD, see EURACTIV 24/07/08. EPC's SEPA payments instruments to be rolled out from 28 January 2008. Office of Fair Trading:What type of plastic?